Director Morgan Spurlock has made documentaries about McDonalds, Comic-Con, One Direction and Osama Bin Laden. That’s a wide variety of work and yet you’d never expect him to make a true genre film. His new documentary, Rats, is exactly that. It was made with one singular thought: to gross you out using nothing but our reality. Based on the non-fiction book by Robert Sullivan about the rat problem in New York City, Spurlock’s film explores the worldwide overabundance of the creatures. Starting in New York, the film then goes to New Orleans, Cambodia, Vietnam, England, India and more, showing how a multitude of cultures deal with rats, either by killing them, eating them or worshiping them. The brilliant part of the film, though, is the way Spurlock decided to shoot it. He looked at some of the most famous, obvious, and successful techniques in the horror genre and applied them to his documentary. So there are sudden pops of sound to jar you out of your seat. Canted camera angles creating a sense of dread. POV shots that would make Sam Raimi proud. Sweeping helicopter shots with bold, blood-red titles on them that would make Stanley Kubrick proud. Characters masked in shadow as an orchestra plays an eerie string melody. It makes the reality you’re watching feel even more frightening than the truth. And that truth is there’s no stopping the rats. Along the way, Spurlock and his crew showcase some of the most horrifying visuals you can image. There are rat dissections where scientists pull live bacteria and infestations out of their bodies. Stuffed rats whose skeletons are cleaned by beetles. Dogs who were bred with the sole purpose of chasing, and tearing apart, the creatures. Men who go out at night with sticks to beat them into a pulp. Even something as simple as a woman preparing rat to be eaten is enough to make you feel nauseous. Then all of these things, seen through the prism of Spurlock’s horror choices, are elevated even further. Rats isn’t a film for the faint of heart. For some, the fact it doesn’t really have some huge revelation or major discovery will kind of knock it down a notch, and I get that. This is nothing more than a smart, scary way to showcase a creature most of us choose to ignore because it creeps us out so much. And rightfully so. 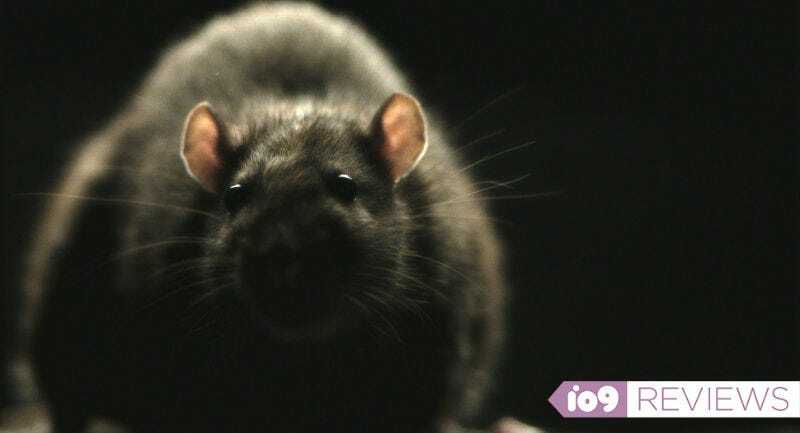 Rats is certainly one of the most disgusting documentaries in recent memory. Rats played at Fantastic Fest 2016 after a handful of nationwide midnight screenings. It’ll debut on Discovery Channel October 22.